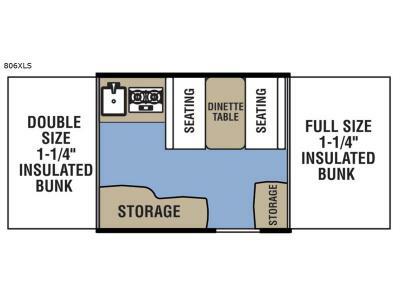 If you have been dreaming of an easier way to camp above ground, then take a step inside this Clipper LS camping trailer. This model offers the convenience of easy towing and easy setup. 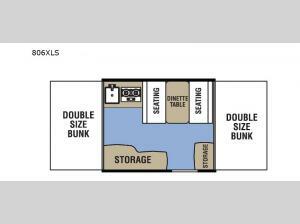 You will enjoy two full tent beds for sleeping, as well as a booth dinette for eating, reading, or even sleeping. You can cook meals on the two-burner cooktop and wash your dishes in the deep bowl acrylic sink.